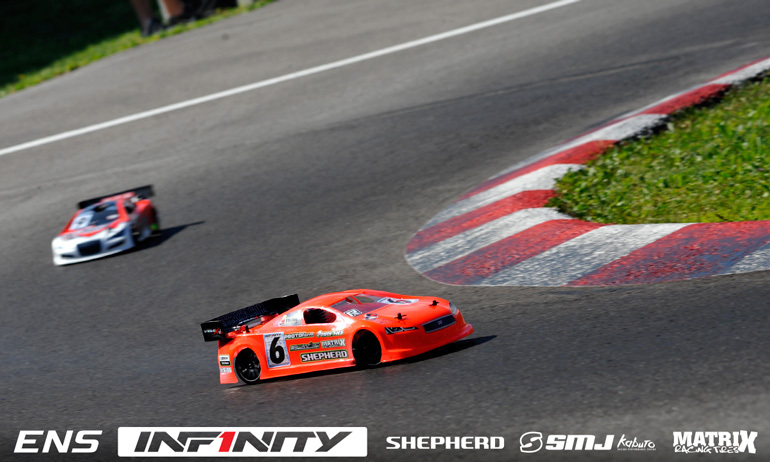 Thilo Tödtmann has taken a surprise TQ run in the penultimate round of qualifying at the Infinity Euro Nitro Series in Aigen Austria. 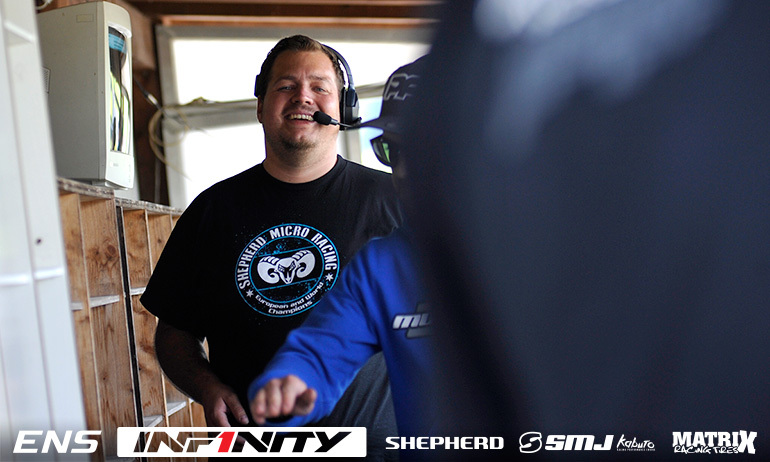 Improving on his 6th in Q1 with a P4 in the second round, the Shepherd driver TQ’d the third qualifier over a very frustrated Eric Dankel, the Mugen driver throwing away a TQ run with a mistake on the last lap. Benefiting from problems for championship contenders Dominic Greiner, Jilles Groskamp and Alessio Mazzeo, Tödtmann took his first ENS TQ run by 8/10th of a second over Dankel with Francesco Tironi completing the Top 3 just 2/100th off. ‘My first TQ run. I drove a couple of times 2nd place before but this is the first time I am first’, said a very pleased Tödtmann. The German, who finished 2nd in last year’s Aigen final, continued, ‘My boss gave me a few tips on my lines which worked out but I also benefited from Dominic and others having problems’. On his car he said, ‘it is getting better as the track gets hotter but now that I am safe in the final I will try a front diff change to see if it is good for the warmer conditions’. ‘I got lucky Dominic hit someone or had a problem but I didn’t see it though. On the last lap I made a mistake and lost 9/10ths’, was Dankel’s summary of Q3. The former Champion continued, ‘for sure we improved the car this run but in right turns I had understeer and on the left I had oversteer. It was even the run before so maybe it is tyre related but I hope it will be ok for the last one’. Sitting 4th going into the fourth & final qualifier, he said, ‘to improve will be hard because the only way I can is with a 1st place’. Tironi appeared content with his P3 for the round saying, ‘we changed the rear diff to a harder one and it made it more consistent for qualifying’. 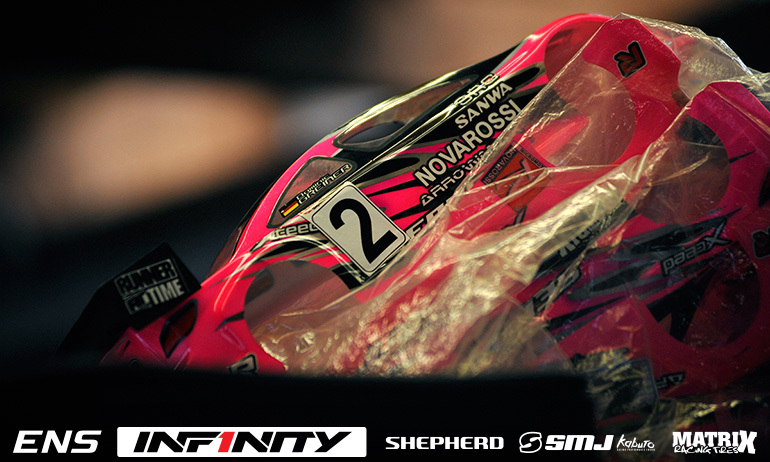 The Infinity driver added, ‘it was really close and I’m confident for the last one’. 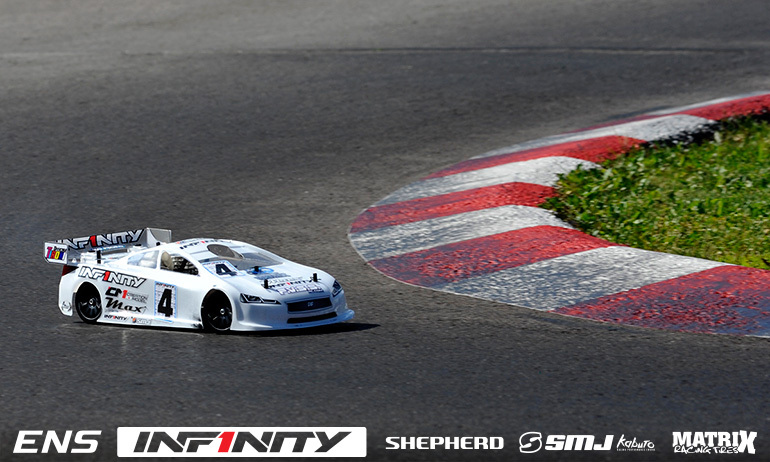 Team-mate Groskamp said, ‘my engine was too rich so I wasn’t on the pace and I pulled in but with so many people having problems maybe even with a rich engine I could still have got a TQ. He added, ‘It a pity because Thilo has now moved ahead of me in the grid so I need a good last one to get back second place’. 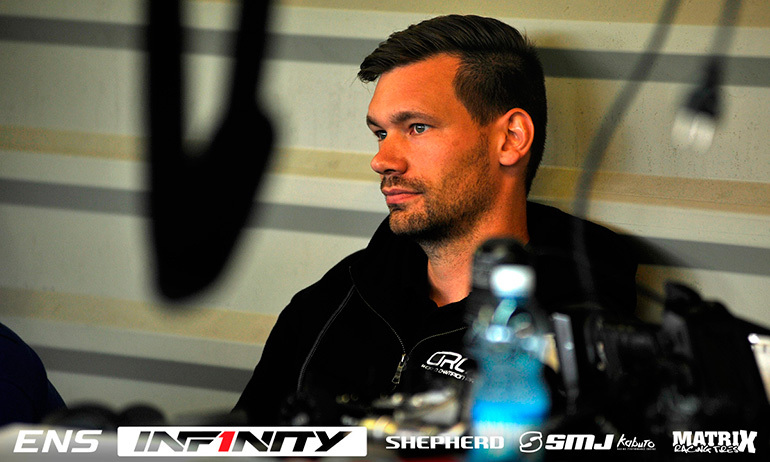 ‘Difficult’ was how Dirk Wischnewski summed up his qualifying so far, Q3 his best run with a P4 for his efforts. 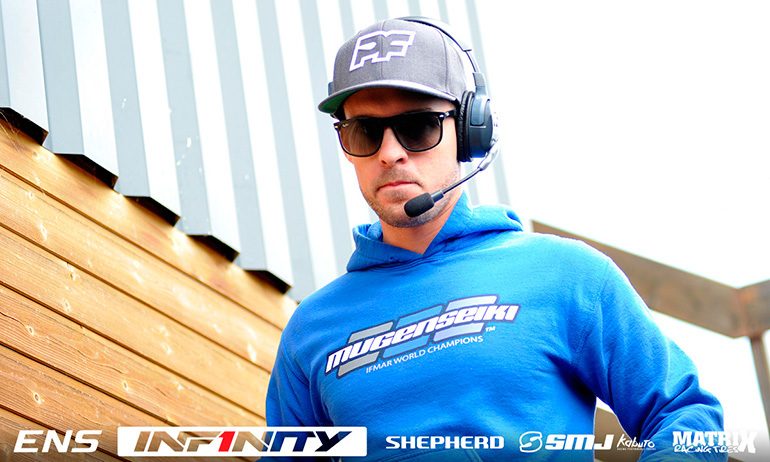 The Mugen driver said, ‘that was my best run so far but I am struggling a lot with the handling of the car’. A multiple ENS race winner he continued, ‘at the start it is very good but towards the end it gets edgy and has oversteer. I don’t know what to do’. 2nd fastest in free practice before the arrival of the rain, the German said, ‘In practice the car was very good when the traction was high. 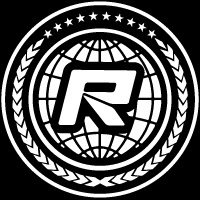 It looks like it improved a little now so I hope for better traction for the last qualifier’. Having taken the opening two qualifiers a mistake at the end of the straight would deny Greiner from making an early addition to his record TQ tally. Flipping his Serpent, it would get collected by the Xray of Leo Arnold and afterwards the World Champion was clearly struggling to keep the car on track – a chunked rear tyre discovered afterwards. Still Greiner said he is ‘still not happy with the car’ adding ‘the balance is not good and we need to make it easier for the final’.